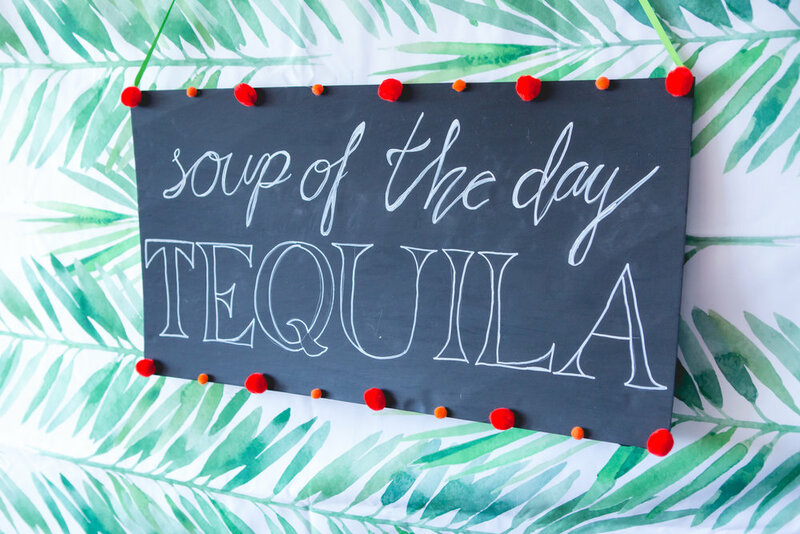 In the office we're always looking to get dressed up & pour a cocktail. We look to social media trends as well as fun holidays to find inspiration for our shoots. 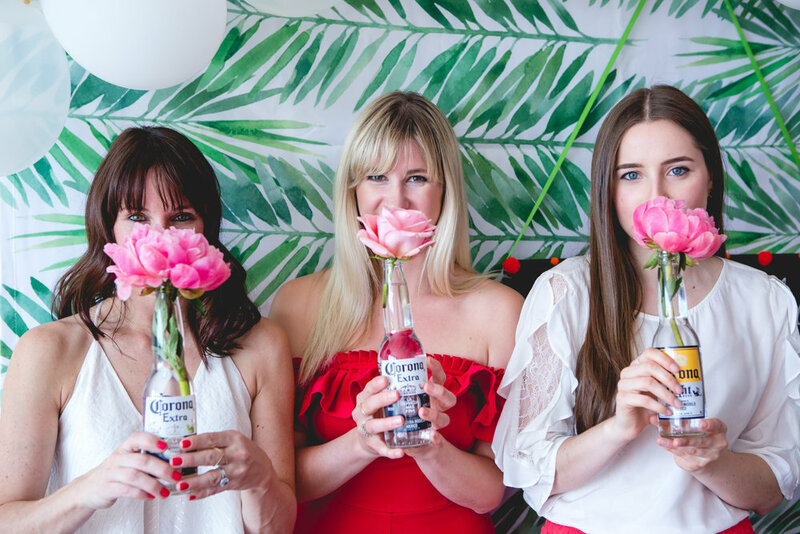 And with Cinco de Mayo coming up, it was the perfect excuse throw an office fiesta! 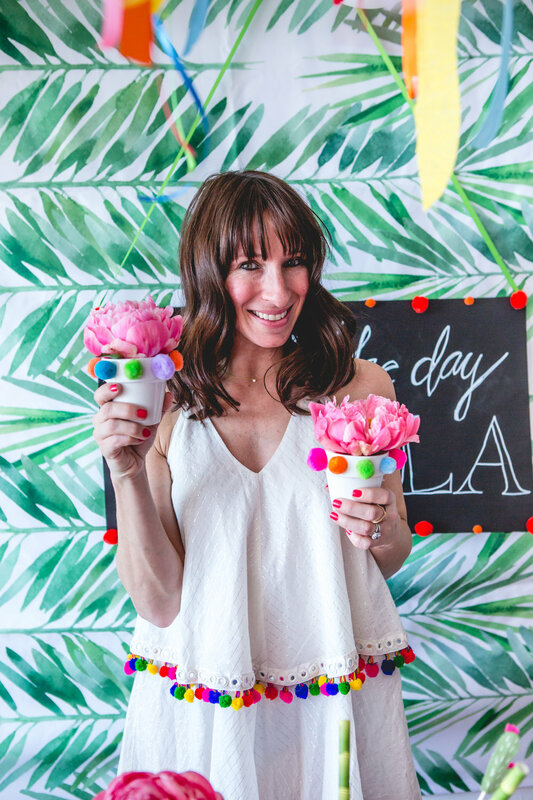 @CraftyMaggie and I found creative ways to use everyday items in our shoot that everyone has around their home. We started with this palm leaf linen we had left over from an event, which we threw up on the wall as our back drop. To add some color to the table, I brought in this fun blanket my parents bought in Mexico. 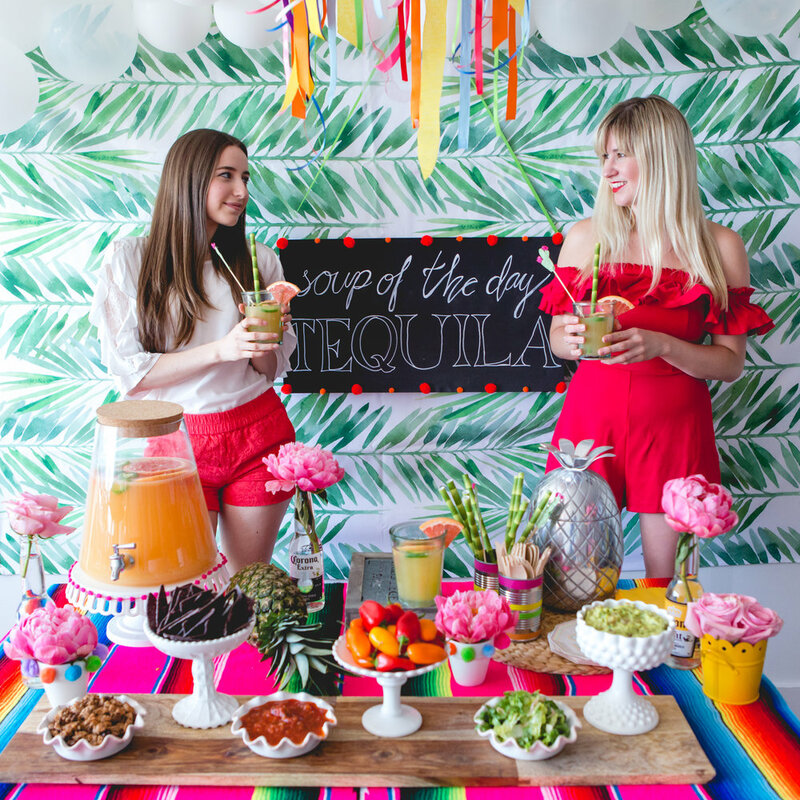 When we were brain storming, Maggie and I found so many fun and festive sayings that we wanted to incorporate into the shoot but we settled on "Soup of the day: TEQUILA", how fun is that?! The sign we wrote this on was a simple poster board that we painted with Chalkboard paint. For color, Maggie added little pom poms around the edges. 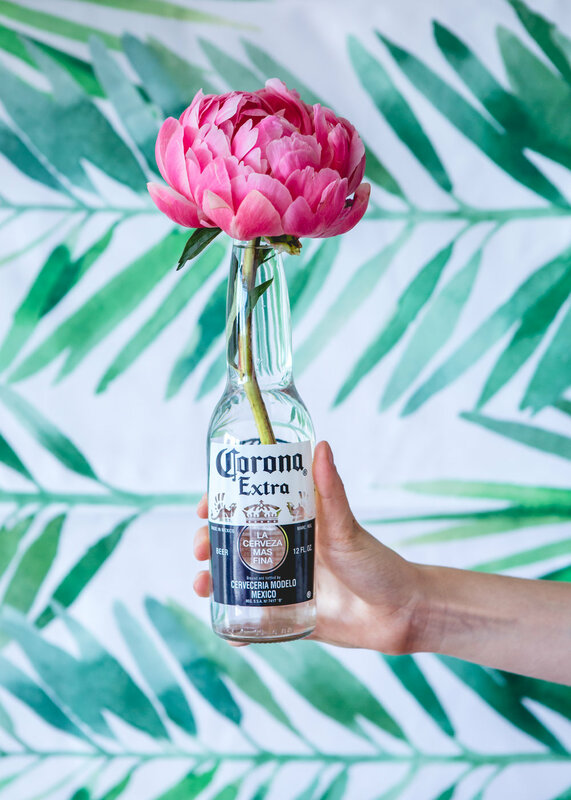 We had some left over beer bottles that we used as vases for our florals. Then I brought in some cans that were left over from dinner the previous night to use as our cutlery holders. I peeled off the label and added some bright washie tape to give it some flair. For dimension, Maggie created this colorful chandelier. 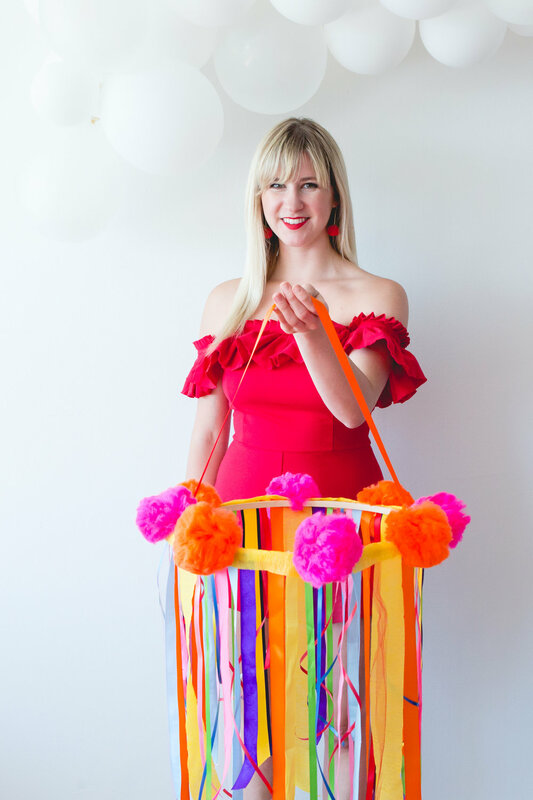 All she did was grab an embroidery hoop, and start hot gluing long strands of ribbon, then she added giant pom poms around the top. So simple, and so stunning! It was such a cool element to add to our shoot. 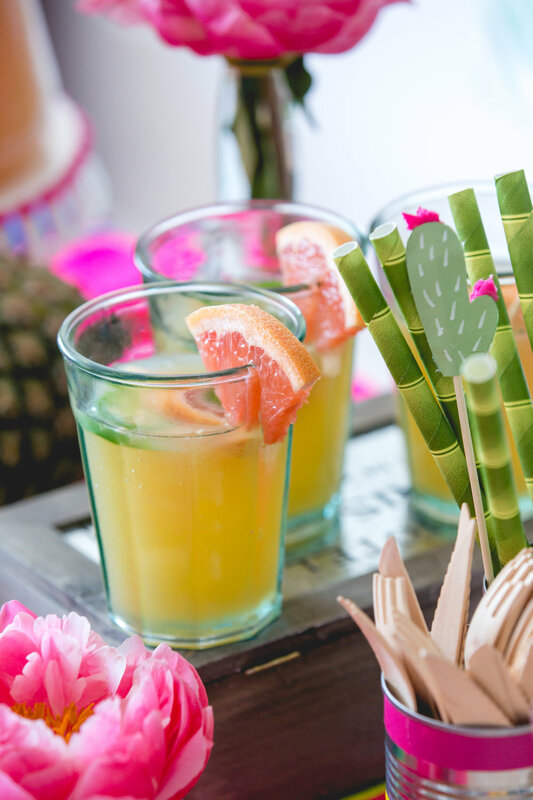 We didn't want to go out and spend money on drink stirrers so I made some with items I found in the office. 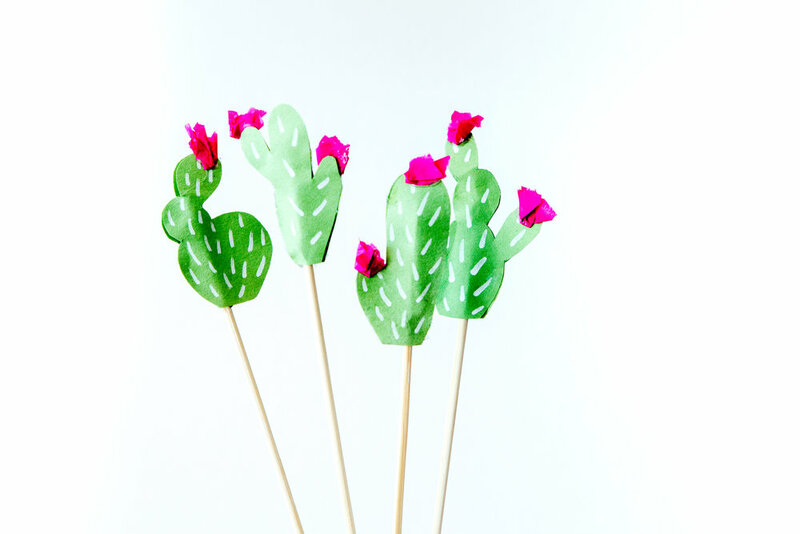 I started by cutting out some cactus shapes, then I took a white marker to create some texture, hot glue gunned both sides to a stick, and added some pink tissue at the top for some flowers. So easy & so inexpensive. 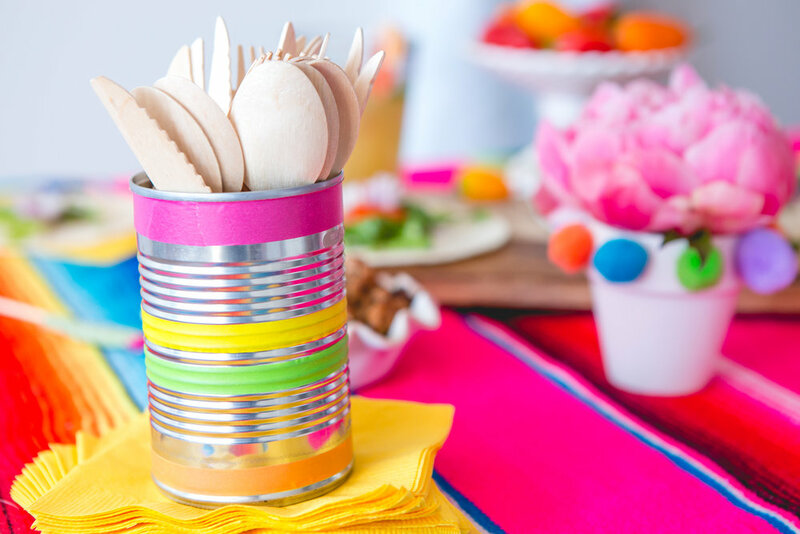 For food, we kept it really simple with a make your our own taco station. We chopped up some lettuce, poured some salsa & chips, and made some guac for us to be able to add toppings as we pleased. Cocktails are always better for a crowd out of a pitcher. 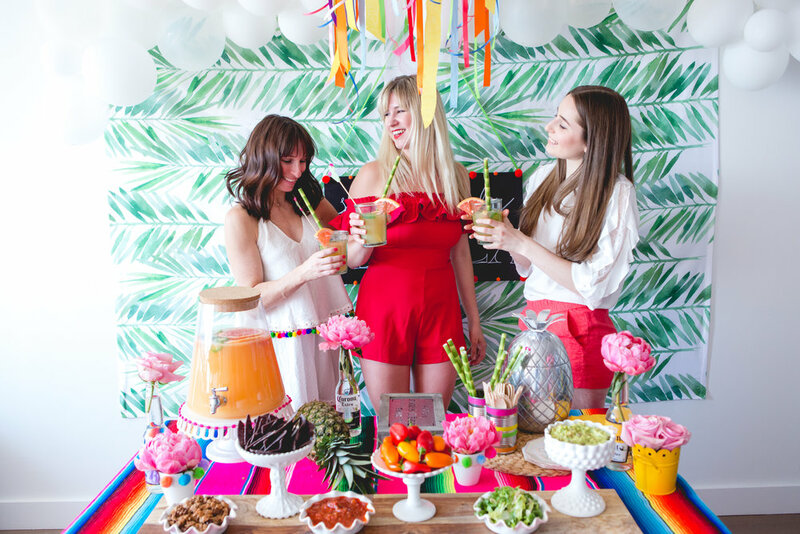 For a past Cinco de Mayo, Abby created a Spicy Paloma recipe which we recreated for this shoot. The jalapeños and grapefruits were the perfect combination of spicy & sweet. Last but not least the whole team threw on some colorful outfits. 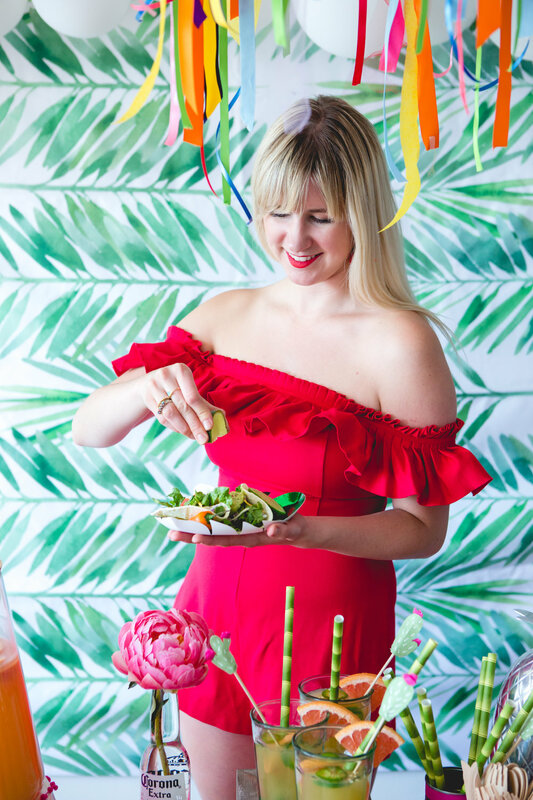 This shoot was the perfect way for us to get in the mood for summer! We can't wait to start having fiestas like this in the warm weather. 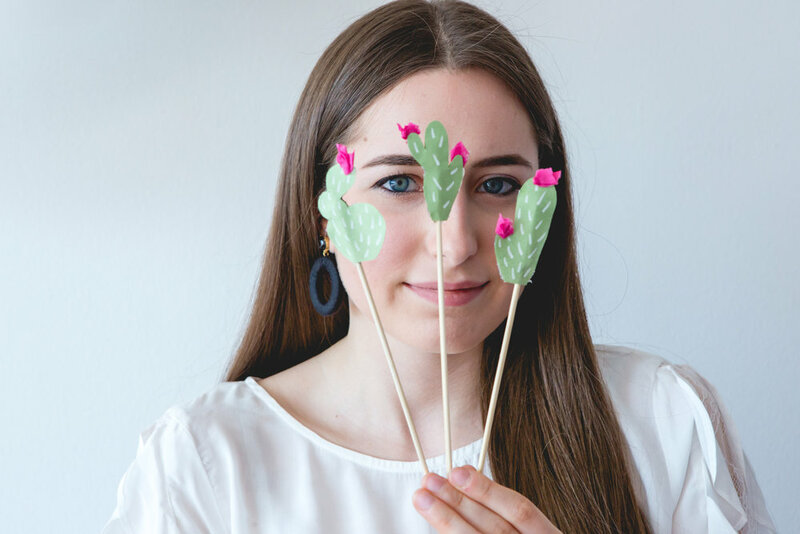 Big thanks to Coverd for these gorgeous pictures!